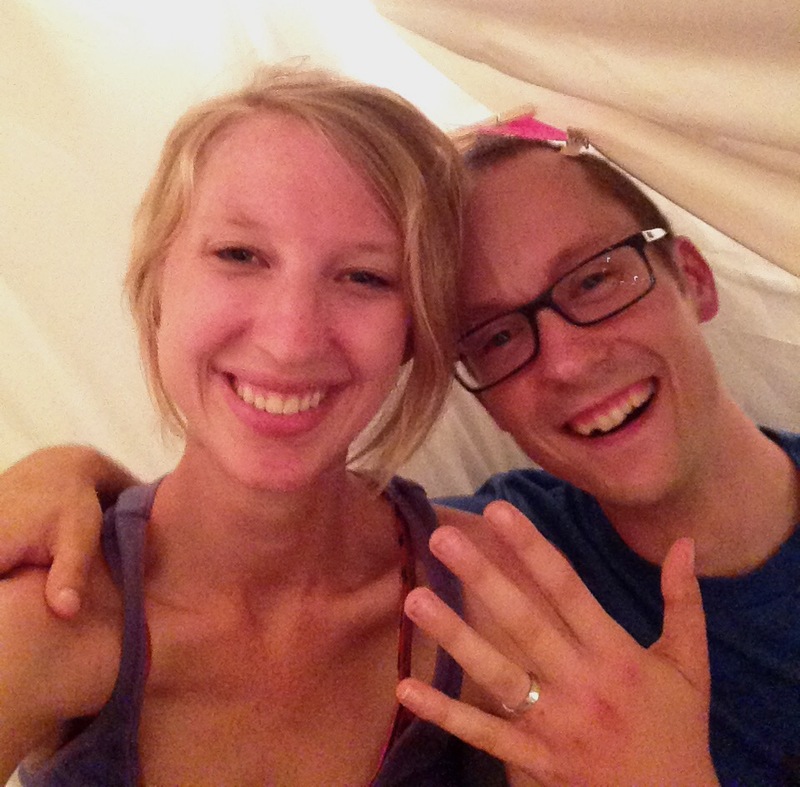 Jingle Cross Weekend + Engagement Surprise! 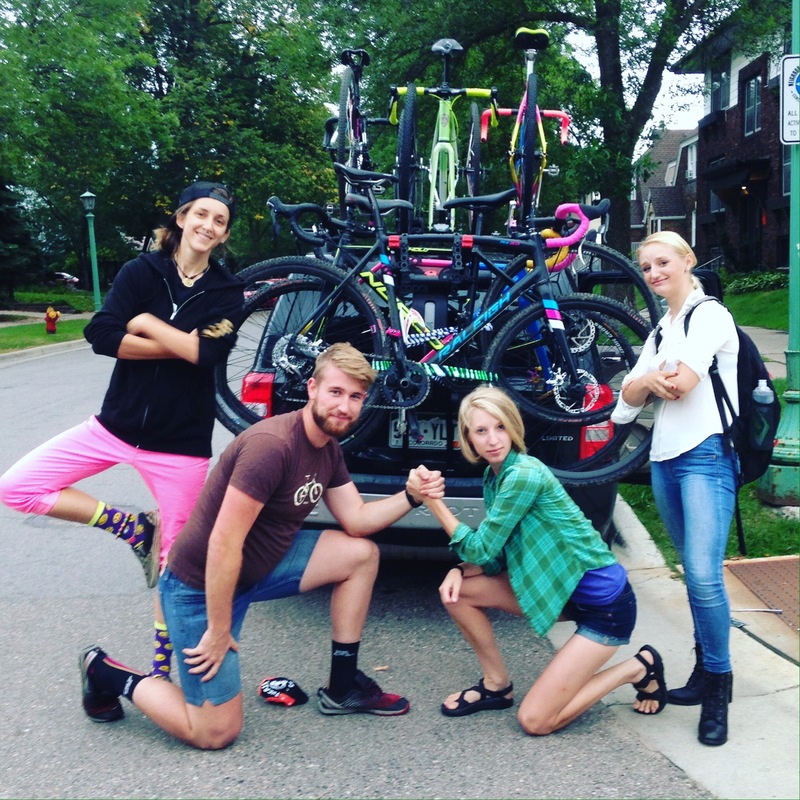 We pile four people, six bikes, one foam roller, too many bags to count, and a whole slew of bike-related odd and ends pile into Blake’s car on Thursday evening to make the drive down to Iowa City. Last year, Jingle CX was one of my favorite races. Between the challenging course, sections of peanut butter-like mud, and boisterous atmosphere, it was the perfect way to wrap up my 2015 race season. This year Jingle CX also happens to be the UCI World Cup, which adds another layer of excitement to our weekend. Around 11pm we reach our destination. We’re staying with a local bike advocate couple named Larry and Anne. They have the coolest collections of bikes we’ve ever seen and treat us to delicious oatmeal, excellent restaurant recommendations, and awesome hospitality all weekend. Thanks Larry and Anne! In one word, Friday’s race is best described as relentless. The previous few nights, mother nature decided to hit Iowa with a series of intense thunderstorms, dumping multiple inches of water over the course of 48 hours. North of Iowa City, some highways were even closed due to flooding. Through the drizzling rain Sarah and I watch the first race. We notice that the racers are getting pretty muddy, but don’t totally comprehend the extensive and soul-destroying (see also: derailleur destroying, drive train destroying, brake destroying, etc) nature of the mud. The whistle goes off and we start pedaling like mad. I’m clean for the first 30 seconds of the race, then as soon as I hit the first (formerly) grassy stretch of ground after the gravel, instant mud pit. You know how Franz Boas came up with that (now debunked) linguistic theory about how Inuit people have like 50 words for snow? That’s how this course felt, except for with mud. There is peanut butter mud, playdough mud, soupy mud, grassy mud, and hard-packed mud. Plus some others that I probably don’t have the vocabulary to describe. Basically, the whole course is a variety of mud that tests the outer edges of my cyclocross skills 100% of the time. Three hard-fought laps go by, and I finally finish a couple minutes behind Sarah. We take one look at each other and laugh at the absurdity of our sport. People pay money to put on lycra and ride through the drizzle in a bunch of mud. What is our sport? Blake and Anya snap a couple photos, then we head over to the hoses to rinse off our bikes and spray each other down. We get off enough mud to be clean enough to get in Blake’s car, pack up, and head back to our host house for some hot showers and amazing pizza, per Anne’s recommendation. Bellies full of pizza, we head back to the course to watch the elite races and cheer on the Minnesota crew. The mud has started to dry up a bit, but it’s still pretty goopy. Watching the elite races is both amazing and humbling. One of the most memorable moments of the evening, however, involves watching, in horror, as a massive toad slowly crawls inch-by-inch closer to the line on a downhill section that all the racers are taking. Mere millimeters away from his very public death, a good Samaritan springs out from underneath the fencing, grabbed the toad, and releasing him safely into the woods. I salute you, fellow toad-saver. We all take the opportunity to sleep in on Saturday, still tired from Friday’s racing. After a leisurely breakfast, Sarah and I head out in search of a place to do our cyclocross-themed tattoos. After no luck, we settle for burritos then head back to the house to meet everyone to head over to the World Cup. I don’t have many actual photos from the World Cup because I was too busy freaking out, but I think that’s a good thing. Watching the best of the best race in person is absolutely amazing. I am totally star-struck seeing riders zoom past me that I semi-stalk on Instagram. Seeing Katie Compton take the win in her field is probably one of the most memorable moments of the whole weekend. After watching the World Cup, we ride back to Blake’s car, and head to our host house where we whip up a half healthy-half pizza dinner. 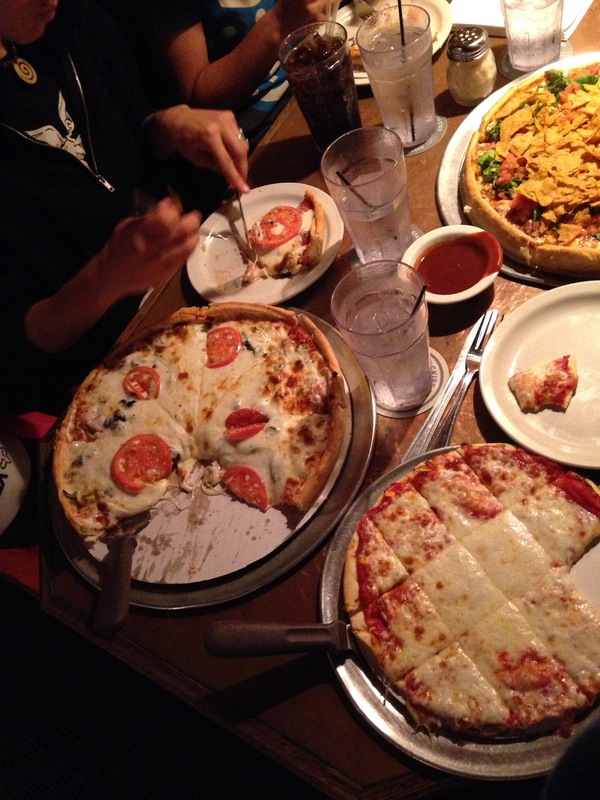 The group is really into pizza this weekend (and like always…). Sunday morning brings (unexpected) sun and pleasant temperatures. We load everything up and head to the course for our final race of the weekend. I’m starting to feel like I’m getting sick and a bee stings my hand, which makes it practically double in size (see photo of me icing said hand with a cold beer below), so I decide to sit the race out and play photographer with Blake’s camera. Sarah and Blake both crush their races – running up Mount Krumpit multiple times, just like the pros! Exhausted and ready to sleep in our own beds, we pile in Blake’s car for the final push back to the Twin Cities. Everything seems totally normal until I get to my apartment door where Blake and Sarah promptly drop my things on the ground (I had 2 bikes and multiple bags with me) and run out of my building. “Thanks for helping? !” I sarcastically yell at them. Little do I know that Cory has been texting and calling them all day to set up his surprise proposal. I don’t want to give away all the details here, but I’ll say it involved an incredibly labor-intensive blanket fort and post-it notes. Also, I said yes!